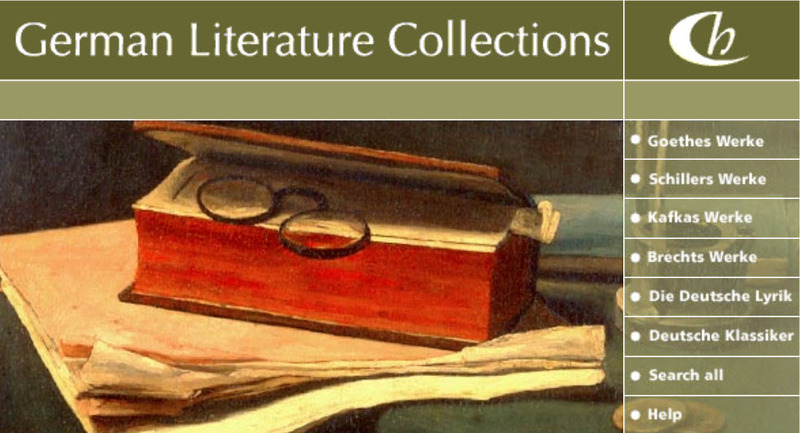 German Literature Collections brings together the complete portfolio of ProQuest German literature resources: Goethes Werke, Schillers Werke, Kafkas Werke, Brechts Werke, Die Deutsche Lyrik and, depending on your institution's subscription, the Digitale Bibliothek Deutscher Klassiker. Each of these collections can be accessed separately, and you can also select Search all to search for authors, keywords, phrases or work titles across the entire set of collections. German Literature Collections offers a wealth of German literature, all of it reproduced from recognised scholarly print editions. The inclusion of Die Deutsche Lyrik adds five centuries of German poetry from Reclams Universal-Bibliothek as a complement to the complete works of Goethe, Schiller, Kafka and Brecht. If your subscription includes the Digitale Bibliothek Deutscher Klassiker, your searches will cover a comprehensive library of German literature, philosophy, politics and history from the eighth century to the twentieth.